"v0.9.1 incorporates Saurik's new mobile substrate. Thanks to Saurik, we are entirely rid of all the daemon patching – this means there's no more daemon patching or restarting. Most the semi-tether work is now done by mobile substrate. 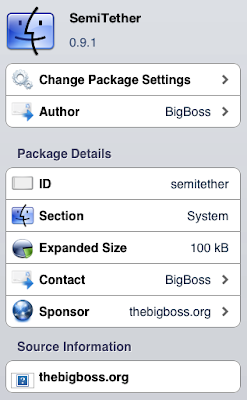 The semitether package from the repository now protects your iOS 5 notification center plugins and gives you the option to patch mobile safari so that it will work on the non-jailbreak reboot mode. I'm still looking into patching mail, if possible."